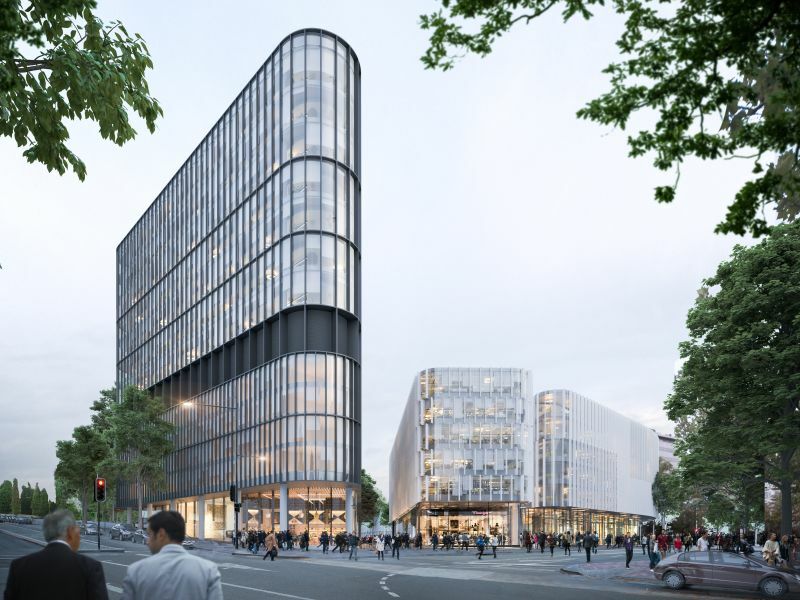 Designed to achieve a new benchmark in commercial office accommodation in Canberra, Constitution Place is located in the core of the Canberra CBD, will offer large flexible floor plates, expansive views and premium finishes all located in a new integrated precinct. The precinct will include a hotel, ground floor retail and dining precinct, onsite child care, a gymnasium, end of trip facilities and extensive car parking provisions for staff and visitors. The landmark building and premium business address where work-life balance has been redefined. Constitution Place is a future-proof workplace where indoor and outdoor spaces seamlessly merge. Stunning lake views and light-filled contemporary floorplans enhance a culture of productivity and individual enrichment. This hub will be the place where Canberra's most talented people converge to create, innovate, rest, play, revitalise concentrate and collaborate. The light-filled 12-level commercial tower incorporates a hotel and provides a working environment with no limitations.